Delcam has launched a free version of its Gold-Certified Delcam for SolidWorks integrated CAM system for SolidWorks. Delcam for SolidWorks XPRESS provides the essential 2D milling and drilling functionality available in Delcam for SolidWorks.It can be downloaded free of charge from www.delcamforsolidworks.com/xpress. 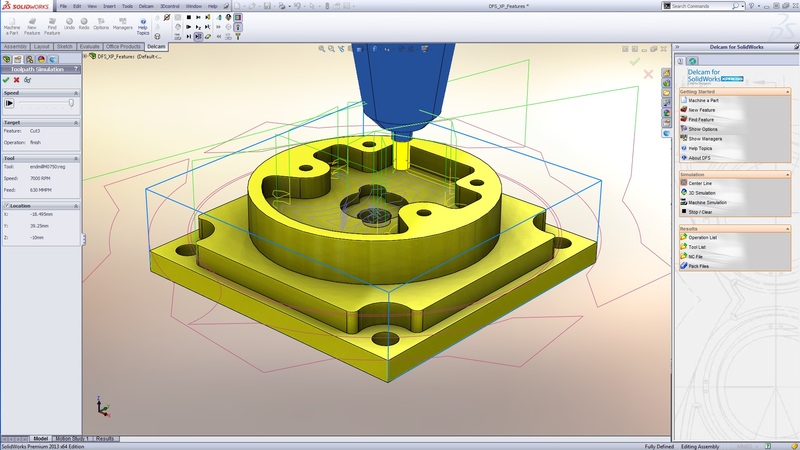 Delcam for SolidWorks XPRESS is intended mainly as an introductory level program for users that are new to computer-aided machining. However, it will also be useful for companies, such as design studios, that only need to program simpler CNC machines or those that wish to experiment with 2D machining before investing in a full 3D software package. Users will be able to generate NC code for feature-rich 2D parts quickly and easily with the unique ‘feature-from-feature’ technology inside Delcam for SolidWorks. The software is, of course, fully compatible with the latest version of SolidWorks. Delcam for SolidWorks XPRESS is fully integrated into the SolidWorks environment, in exactly the same way as the full Delcam for SolidWorks software, so that the program looks and behaves like SolidWorks. Similarly, it offers the same full associativity with SolidWorks so that any changes in the CAD model are reflected automatically in the toolpaths. The XPRESS version provides the same high level of automation as the full program. The software automatically selects the appropriate tooling for the project, allocates the appropriate feeds and speeds to all the toolpaths, and orders the various roughing, semi-finishing and finishing operations into the most efficient sequence. The drilling options cover all hole types, including tapped holes, and support drilling cycles with sub-programs for the standard controls.Full 3D simulation of all toolpaths can be undertaken, with comprehensive gouge detection, to check the programs before they are sent to the machine. Time estimates can also be made to compare the results of using different strategies. The software is supplied with a basic set of post-processors for typical controllers and functionality is provided so that more experienced users can tweak the standard posts to match their machine-tool controls.Training videos for Delcam for SolidWorks XPRESS are included on the www.delcamforsolidworks.com/xpress website, as well as on YouTube. A forum for users has also established on the website, so that members are able swap tips on the use of the software. 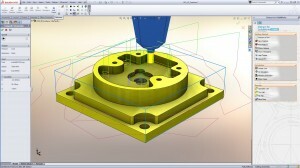 Delcam for SolidWorks combines the benefits associated with Delcam’s PowerMILL and FeatureCAM CAM systems. It is based on Delcam’s proven machining algorithms that are already used by more than 40,000 customers around the world. The software offers PowerMILL’s exceptional speed of toolpath calculation, plus the advanced strategies for high-speed and five-axis machining, to ensure increased productivity, maximum tool life and immaculate surface finish, even when cutting the hardest, most challenging materials. At the same time, Delcam for SolidWorks has the same strong focus on ease of use as FeatureCAM, including all of the knowledge-based automation that makes that system so consistent and reliable.